1. HOW DO Go-Bikes WORK? 2. 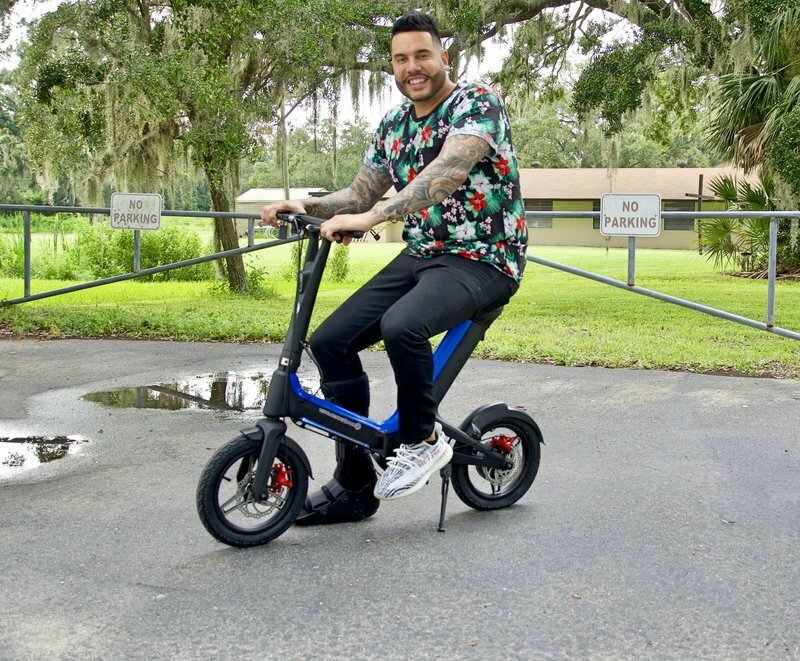 HOW OLD DO YOU HAVE TO BE To Ride A Go-Bike? You recommend riders be at least 14 years old, but the minimum rider age is at a parent's or legal guardian's discretion. 3. DO Go-Bikes HAVE A Maximum WEIGHT LIMIT? Yes, the maximum load is 285 lbs. 4. HOW FAST CAN Go-Bikes GO? 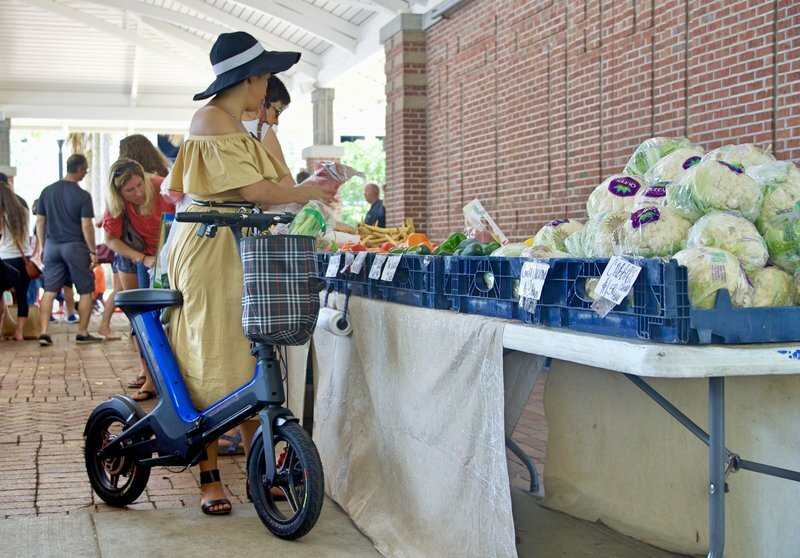 Our electric bikes can travel up to 18-20 mph. 5. 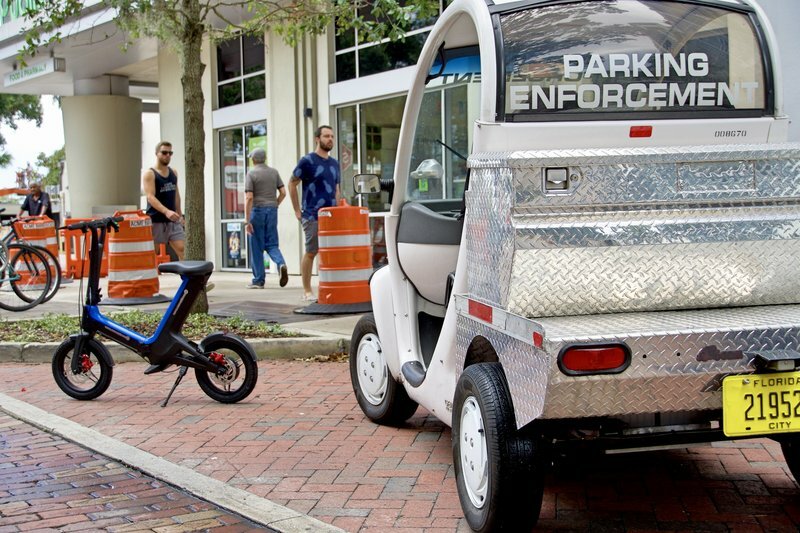 How far can you ride a go-bike on a Full charge ? 6. DO YOU HAVE TO WEAR A HELMET? Not necessarily (unless required by your state), but we strongly advise that for your safety you wear protective gear, such as a helmet, elbow pads, knee pads, etc. 7. 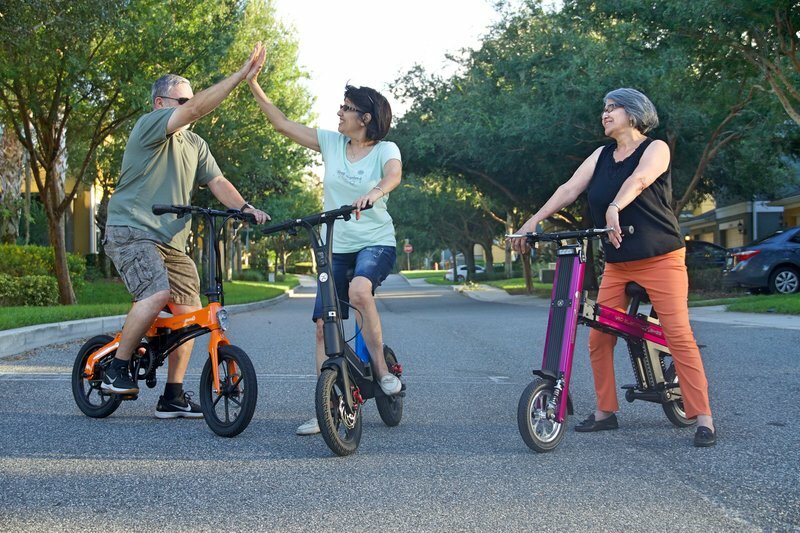 ARE Go-Bikes FUN To RIDE? 8. do i need a drivers license? 9. Can two people ride A Go-bike at the same time? 10. What eLSE should I consider? YES!!!! They’re the most fun you’ll have on two wheels! are not recommended to ride without adult supervision. The Go-Bike only seats one person. Two people cannot ride at the same time. Do not ride: if under the influence of alcohol, or if you suffer from cardiovascular disease, or if you do not understand the local laws, or on rainy days, or muddy surfaces, or exceeding the speed limit, or without proper light. Clean bike with a damp cloth; do NOT submerge bike in water. 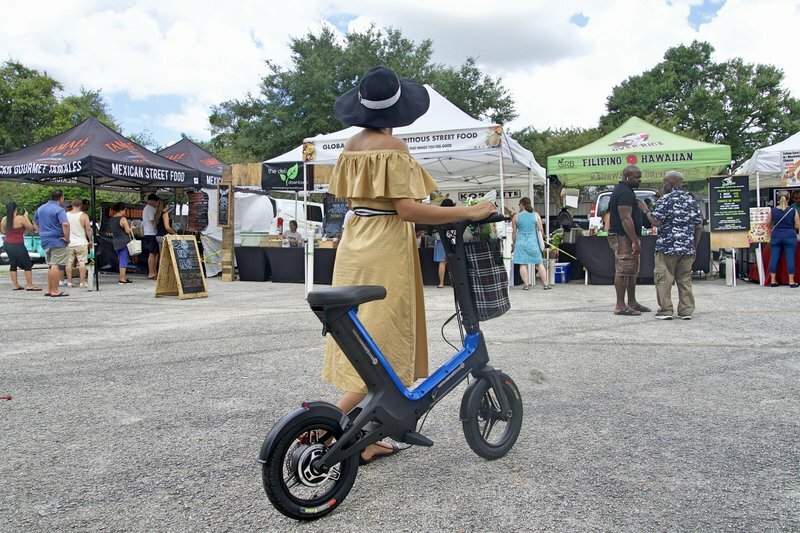 regarding electric bikes in my state? 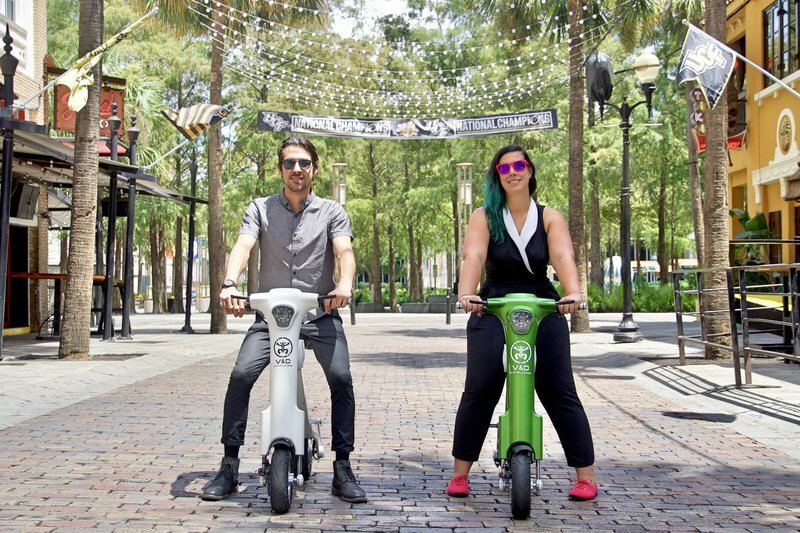 V&D Electric Bikes wants you to be 100% satisfied with the products you purchase. All bike sales are final unless the bike is functionally defective. If so, you may return it to V&D Electric Bikes within three (3) business days of receiving the product for replacement or repair. The product must be returned undamaged (cosmetic) and in the original packaging. Parts that are still under warranty will be repaired or replaced. Upon receipt of the returned product, V&D Electric Bikes shall inspect the returned Product to confirm that it is damaged and in the original packaging. If V&D Electric Bikes decide the bike has a functional defect, V&D Electric Bikes shall credit purchaser for the purchase price. Purchaser shall be responsible for all shipping costs. If Purchaser returns Product that is damaged due to reasons not covered under the warranty, not in the original packaging, then V&D Electric Bikes shall not issue any credit (refund) to Purchaser. 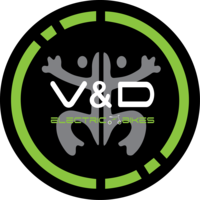 V&D Electric Bikes aims to provide our customers with a positive online shopping experience. We want you to know that your protection is important to us. We have taken all necessary steps in accordance with accepted industry practice to protect the security and privacy of our customers’ personal information. This privacy statement describes how V&D Electric Bikes collects and uses the personal information you provide on any and all of its owned and operated websites. 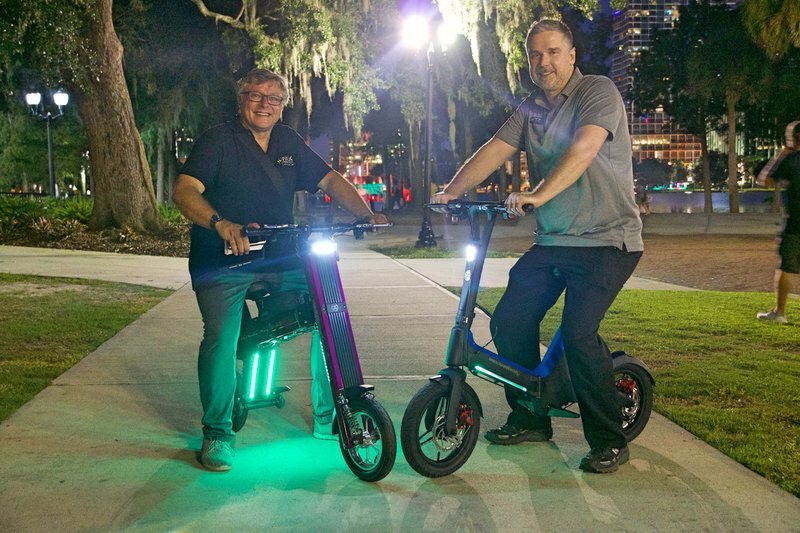 The site you are visiting is owned and operated by V&D Electric Bikes. You may choose to stop receiving our newsletter or marketing emails by following the unsubscribe instructions included in these emails or you can contact us at vanddelectricbikes@gmail.com. Opting out of newsletters and marketing emails will not affect communication via email or telephone relating to your orders. You can import contacts from your address software, contact list on your mobile device, or other email account address book to invite them to become members of our site or to interact with them about V&D Electric Bikes. We collect the username and password for the email account you wish to import your contacts from, or the information in your contact list and will only use it for that purpose. 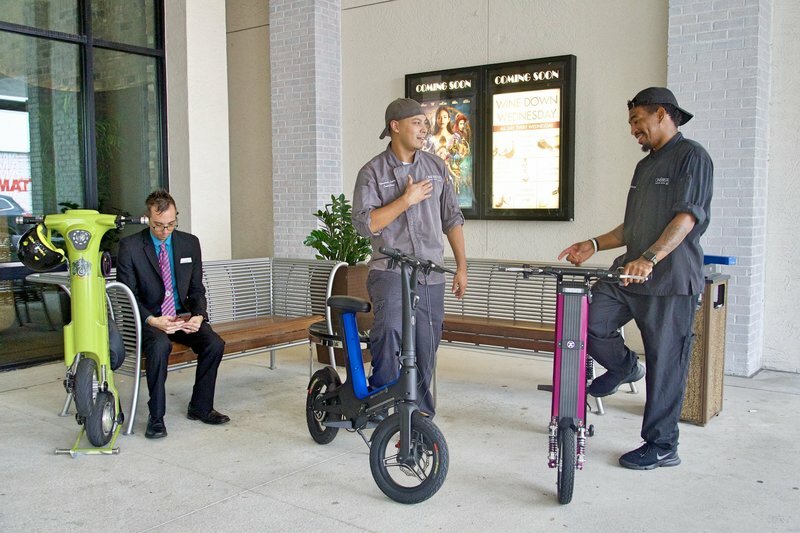 if V&D Electric Bikes is involved in a merger, acquisition, or sale of all or a portion of its assets, you may be notified via email and/or a notice on our Websites of any change in ownership or uses of your personal information, as well as any choices you may have regarding your personal information. To review and update your personal information to ensure it is accurate, contact us at vanddelectricbikes@gmail.com. We welcome your comments and questions. If you have concerns regarding this privacy statement please contact our customer service team at vanddelectricbikes@gmail.com. Prices are final as of time of an order. All products are shipped F.O.B. (Freight On Board) and become the sole property of the purchaser upon delivery to the specified shipping agent. In case of shipping damage, the customer should contact us immediately, so we can promptly file a damage claim with the carrier and expedite a replacement. Any discrepancy, including wrong items or missing items, should be reported to vanddelectricbikes@gmail.com within 36 hours. By purchasing from our web site, you acknowledge that you have read and agreed to all terms and conditions. All brands and product names mentioned are trademarks and/or registered trademarks of their respective holders. Product images are for representation purposes only. Actual products may have slight cosmetic differences. Your product will ship from our warehouse within 2 business days of your payment clearing. We only ship Monday through Friday. Any in-stock orders placed Friday through Sunday will ship the following Monday or Tuesday. If you receive a damaged item, you must contact us within 7 days by calling 1-877-245-2494, or by email at vanddelectricbikes@gmail.com. If you do not contact us within this time period, your damage claim may be denied by the carrier. Customer assumes all responsibility for the damaged item before it is picked up by the corresponding carrier agents. This Limited Warranty covers the original purchaser from any defects in material or workmanship under normal use for 1 year from the date of invoice. This warranty is only offered to the original purchaser of the product, and is not transferable to a subsequent purchaser. There are no express warranties except as listed above. V&D Electric Bikes shall not be liable for special, incidental, consequential or punitive damages, including, without limitation, direct or indirect damages for personal injury, loss of goodwill, profits or revenue, loss of use this product or any associated equipment, cost of substitute equipment, downtime cost, or any other losses, or claims of any party dealing with buyers from such damages, resulting from the use of or inability to use this product or arising from breach of warranty or contract, negligence, or any other legal theory. In no event shall V&D Electric Bikes be liable for any incidental, indirect, special or consequential damages or liabilities (including but not limited to incidental or consequential damages for loss of time, inconvenience, loss of use of product, or any other consequential or incidental loss) in connection with the purchase, use, or operation of the product. 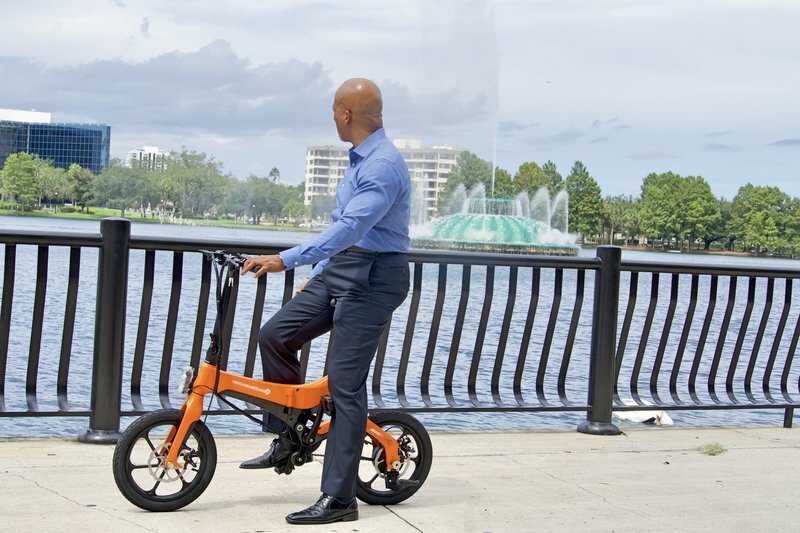 V&D Electric Bikes is not liable for property damage, personal injury, or death. All express and implied warranties, including the warranties of merchantability and fitness for a particular purpose, are limited to the applicable warranty period set forth above.